Fields: Ford's goal "is to make people's lives better .... and, over time, change the way the world moves." 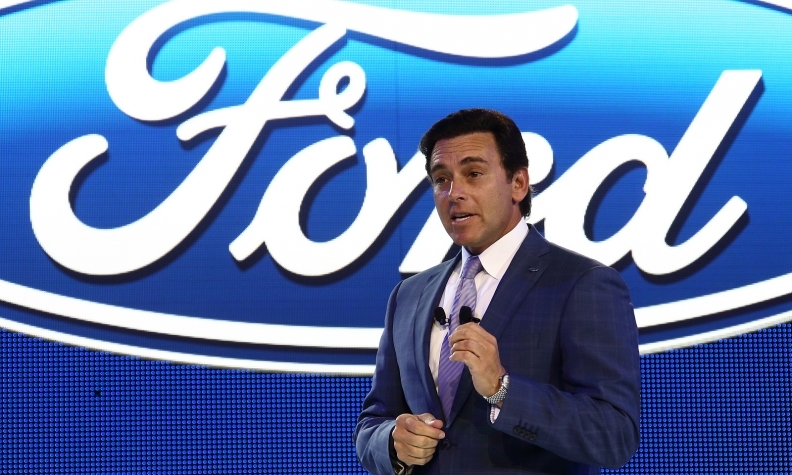 SAN FRANCISCO -- Ford Motor Co. is getting into the car-sharing and electric bike businesses as part of CEO Mark Fields’ effort to transform the automaker into a more holistic provider of transportation options. The company lannounced a pilot car-sharing program that invites 26,000 Ford Motor Credit Co. customers in six U.S. cities and London to offer their vehicles for short-term rentals. It also unveiled a new battery-powered bike aimed at urban commuters. 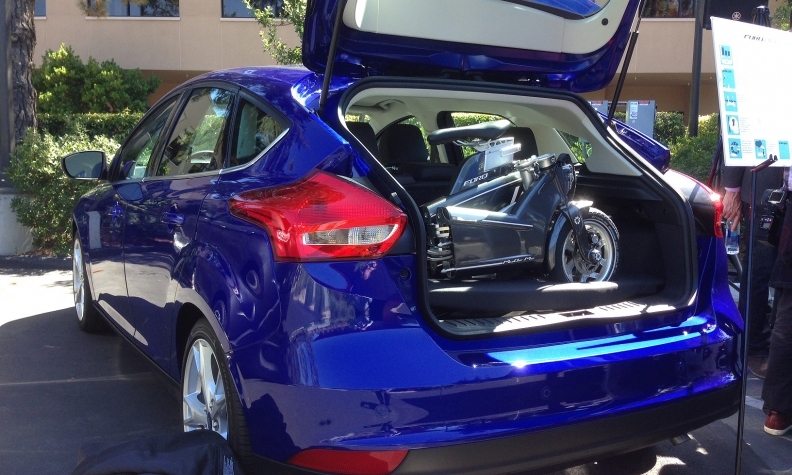 The bike folds and can be recharged while being stored inside any Ford vehicle. The Peer-2-Peer Car Sharing program and MoDe:Flex bike represent the next phase of the Ford Smart Mobility plan Fields introduced in January. Ford has been conducting 25 experiments on topics related to helping consumers get around in the future. 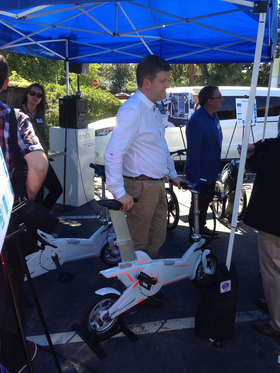 The MoDe:Flex bike folds up and can be recharged while being stored inside any Ford vehicle. After gathering data for six months, Ford said it is focusing on two general areas: flexible use and ownership of vehicles, and urban commuting using multiple methods of transportation. The car-sharing program will run through November and involve 14,000 U.S. customers of Ford Credit and 12,000 in London. They can sign up to offset their monthly ownership costs by renting their vehicle to drivers who have been screened. The U.S. program will operate in Berkeley, Oakland and San Francisco, California; Portland, Oregon; Chicago; and Washington, D.C.
Ford cited a study by research company Penn Schoen Berland showing that a third of millennials in the U.S. are interested in supplementing their income by renting out their belongings and that more than half are open to sharing rides with other people. Fields said the car-sharing program is still in the experimental stage but that it could eventually become profitable. “What we’re trying to gauge here is, first, the interest, and then, the usage. We’ll see what kind of interest we’ll get,” Fields told reporters after speaking at the company’s annual “Further with Ford” conference in San Francisco. “We think this is a really unique way to help our customers – give them more, help." The MoDe:Flex bike connects with a smartphone app that can plan the most efficient mode of transportation for a journey and can help riders get to their destination without breaking a sweat by increasing electric pedal assist based on their heart rate.